A keen-eyed reader has pointed out to me that this year, I have broken one of the customs I have observed ever since I started this blog nearly six years ago. On the week which includes St Patrick’s Day, it has always been my custom to have something Irish in this “Something Old” slot. Thus in past years I have considered James Joyce’s Ulysses, Darran McCann’s After the Lockout, Liam O’Flaherty’s The Informer and The Black Soul, and Terence de Vere White’s The Distance and the Dark. I’ve also posted such bits of Irishry as Me and James Joyce in That Order and Seamus Heaney 1939-2013 RIP and The Wearing of the Green and so forth and Yeats the Art of Being a Fool. St Patrick’s Day 2017 was the week before last and, said my observant reader, I had ignored my own custom. To atone, I therefore present, two weeks late, three outstanding pieces of Irish poetry by three very different Irishmen. First is “Epic” by Patrick Kavanagh (1904-1967) who, more than anyone else, captured in great poetry both the loneliness and the inspiration of the Irish countryside. 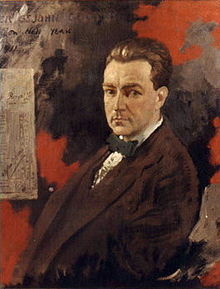 In many ways, this twentieth-century poet was heir to the soul of Irish Catholic peasants from an earlier age. Kavanagh’s masterpiece is “The Great Hunger” – not a poem about the Famine, but a poem about the lovelessness of an isolated life. Unfortunately it is too long for me to reproduce here, as is Kavanagh’s “Prelude” (which can be found in Brendan Kennelly’s Penguin Book of Irish Verse), one of the sanest apologia yet written for the craft of a poet. Length, by the way, was one reason I did not include in this week’s bouquet two of my favourite Irish poems – James Clarence Mangan’s translation of the Gaelic “Dark Rosaleen”, and John Montague’s thoughts of a deracinated priest “Soliloquy on a Southern Strand” (which can be found in Paul Muldoon’s anthology The Faber Book of Contemporary Irish Poetry). And the pubs empty out. 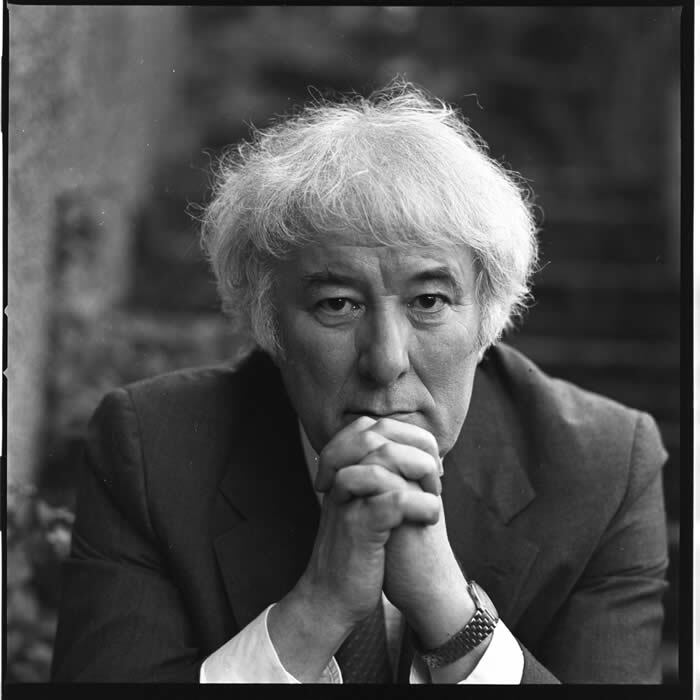 And finally, the great unignorable voice of late 20th and early 21st century Irish poetry, Seamus Heaney (1939-2013), Nobel Prize-winner and “famous Seamus”. Heaney was a Catholic from the North, a man who wrote about the urban (Irish, English and American) scene as often as he wrote about the rural scene. I could dip into any collection of his verse and find something I’d be happy to reproduce here, but I have chosen one of his earlier and more rural poems “The Outlaw”, primarily because I remember once the giggles and titters it aroused when I discussed it with a senior form at a girls’ school where I once taught. I could not guess. He grunted a curt "Go by.